Are you tired of the constant lack of funds? Learn to save! We’ll tell you about convenient and modern services that are always at hand, but rather in your phone. Read and enjoy! In today’s world of the Internet technologies, the offline stores have lost a lot of customers. Buying over the internet is not only comfortable, fast, but also profitable. Retailers are coming up with different tricks to increase sales. But buyers are satisfied, because they save. Now, in the market there are dozens of discount mobile applications. Using them, you can buy a variety of discounted products or look for the best price for the commodity. In this review, we consider 20 such programs to receive coupons for the discount. Get ready! Go! 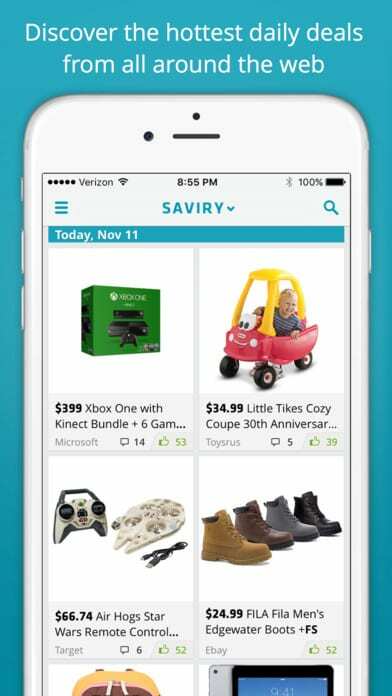 The task of Saviry is the monitoring of sales in online stores. The app follows immediately for all – from the prices of clothes to the shares in the stores of video games. In fact, it is a constantly updated guidebook with shares, coupons, promo codes and discounts in online stores. 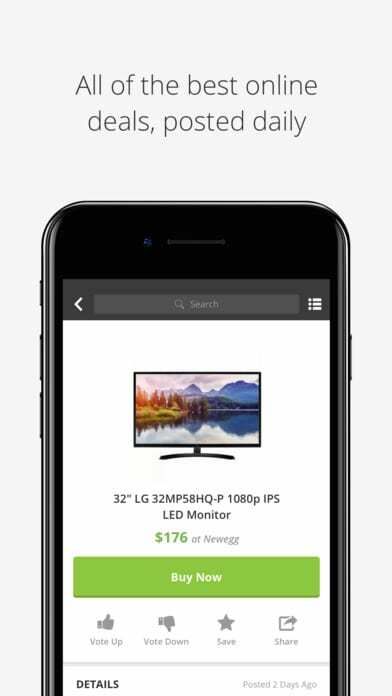 On the main screen, there is the new offers – tap on the picture and immediately go to the desired store and make a purchase. All this business can be filtered by interests, set up notifications (such as “Notify me when the lipstick is sold out”) and much more functions. 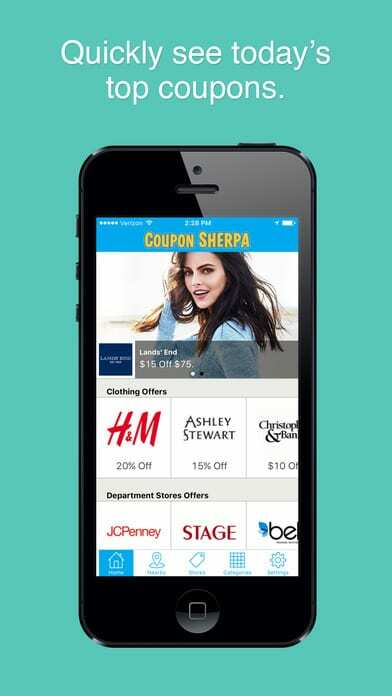 The essence of the mobile application is to talk about discounts in nearby stores. But Tiendeo is not limited only to products and toys, but covers different categories of goods, from building materials, clothes and ending with sporting goods. There you can find shares in such giants as Leroy Merlin, KOHL’S, Mango, H&M, etc. As an additional option, the creators of the application offer catalogs with company goods, discount coupons and contacts of all sales points, including address and mode of operation. For convenience, you can create a list of your favorite stores and not skip any discounts and promotions. The main thing is to be able to overcome the desire to run at every favorable price to the store. Grupon is an application of the same-name service-couponer, which allows you to save considerably on various entertainments, payment for services and purchase of some goods. It works like this: through the application you buy a coupon (sometimes they are given free of charge) and get a discount that considerably exceeds the cost of this coupon. Using of a mobile program, rather than a web version of the service, is convenient because the buyer does not need to print a coupon. He can simply present in the store/institution an electronic copy received directly in the application. You can also subscribe to various categories of products and promotions, receiving pop-up notifications about the appearance of new ones. When you first start the application, it will ask you to grant access to the current geo position. It needs for Groupon in order to provide a list of shares in your city. In addition, the program has an interactive map, which marks the shares that operate nearby. The map is located in the “Near” section. This is one of the four major sections available in the app. In the other three, you will find actions related to travel and recreation (Tourism), discounts on various goods (Shopping), as well as the most interesting and attractive offers, valid at the moment (Shares of the day). The coupons purchased in the application are effective immediately after payment. Of the notable shortcomings of the Groupon can be noted the lack of a familiar search system. Because of this, it is necessary to look for interesting stocks simply by gluing the list, or to use the map, about which we told earlier. 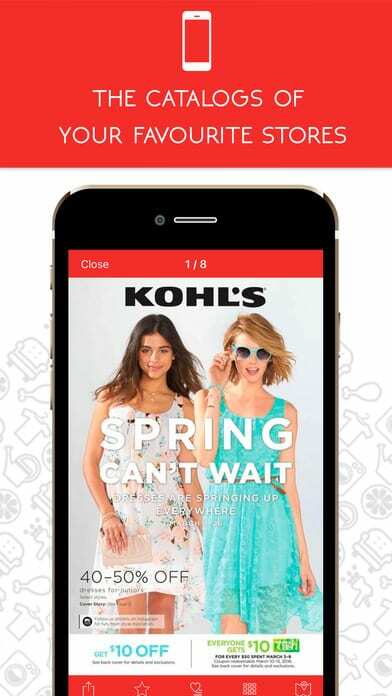 If you like to shop with a smartphone, then this application is just for you. LivingSocial does roughly the same thing as Groupon – offers you great promotions with a 50-90% discount. 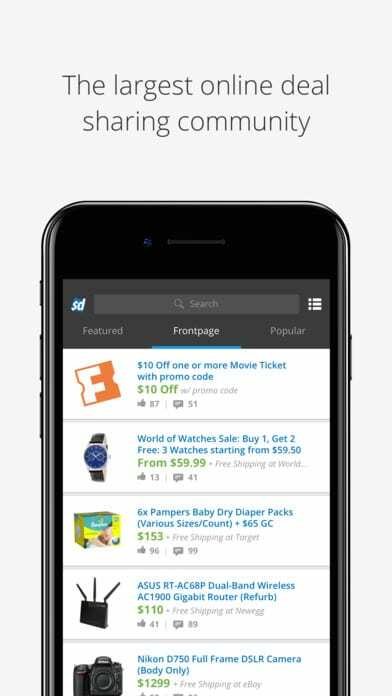 Users can simply browse offers and make purchases directly using smartphones. Here the advantage is that if you attract three of your friends to buy at a discount what you are offered, you can purchase your product for free! There is no such person who does not want to save money. Especially, if it is a question of an expensive thing that you like. Someone to get it will start to save, someone will find a similar one, and someone will act smarter and find it for the less money. It was for the third category of people that the developers of mobile applications came up with PriceGrabber. With it, you will be able to purchase things online at low prices. To do this, you need to know the article of the future purchase or its name. Then, by driving one of the options into the search engine and clicking the search button, you will see in a few seconds how the application itself will issue a place where you can purchase the product at the lowest price. In addition, PriceGrabber offers reviews of other customers about this product or online store, where you are going to buy the thing that attracts you. If you are not going to make purchases every second, you can simply bookmark with the product name chosen by you (and this can be both things and household appliances). 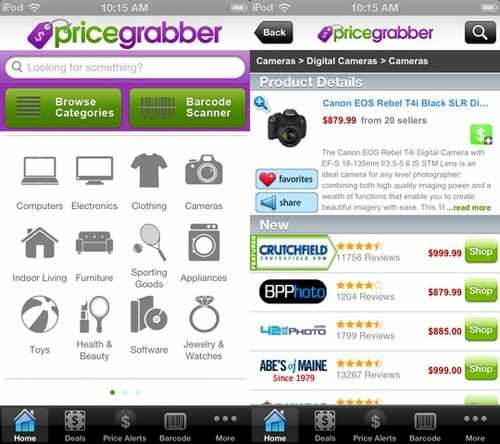 PriceGrabber is available in free download and absolutely free. 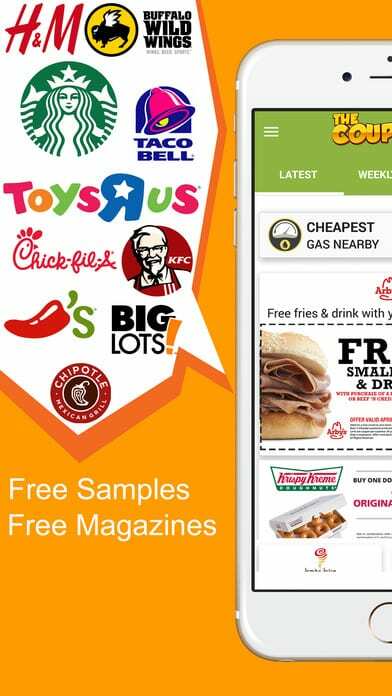 You can use the widget with real-time information from the The Coupons App application to save money in local stores, restaurants and even gas stations. 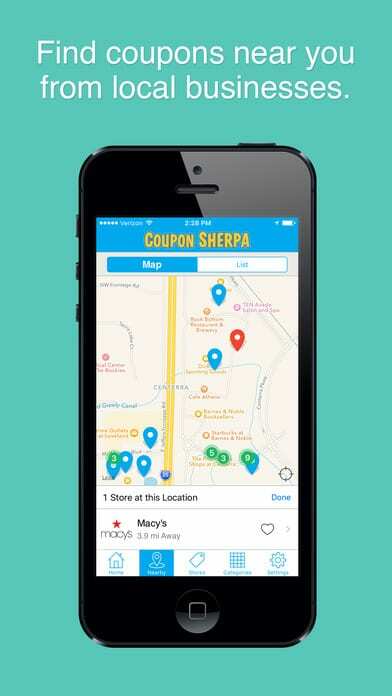 In addition, you can share coupons with friends and family members via email or Facebook. There is no need to use coupons when you have all the discounts on your palm. 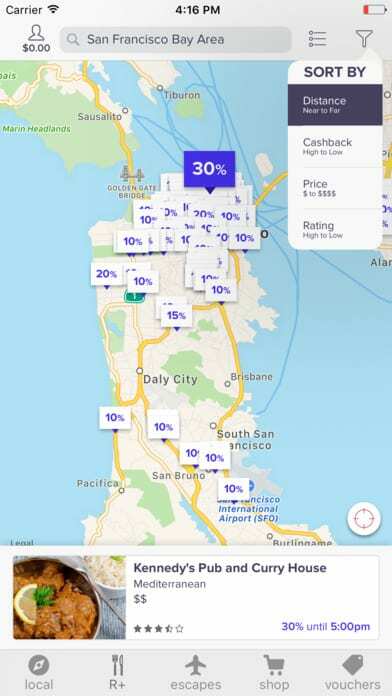 After determining your location, the application finds discounts in your area and divides the search results into categories. 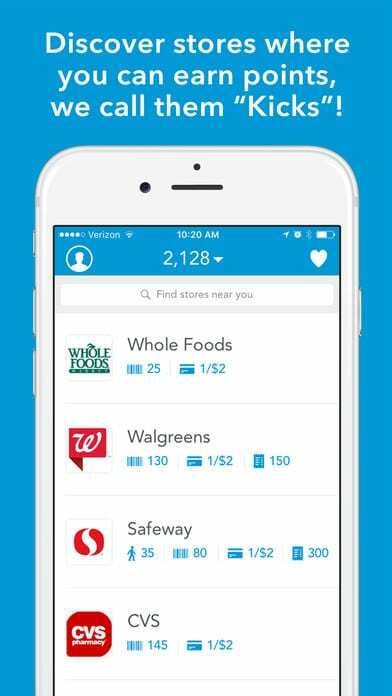 For food, the application can also be used: find a local supermarket and provide coupon codes to the cashier. 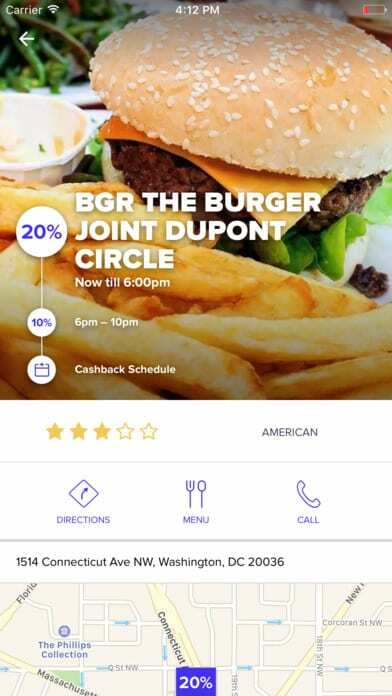 This application will allow you to get the opportunity to purchase hundreds of coupons that will give you the opportunity to come off to the full with friends or alone in your city. A huge variety of different offers with discounts, will allow everyone without an exception to find something that will interest him. A pleasant plus of the program is that due to the interaction with the social networks you can track which coupons your friends have purchased and join them. holidays and hotels and much more. The choice, to be honest, is huge. The interface of the application is also worthy of admiration. There is nothing superfluous in it, everything is laconic, beautiful and the main thing is clear from the first. It does not make sense to write any instructions for using the iCoupon application. Download the application on your phone and get instant access to hundreds of different offers from all sorts of discount services, only the best offers in your city. 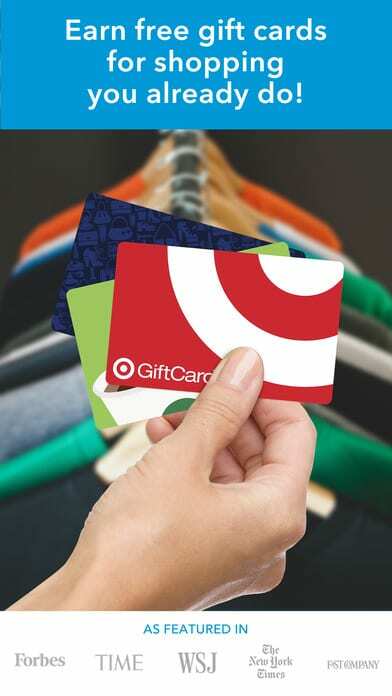 Easy way to earn $ 20 for each shopping trip, as well as make purchases on popular Internet portals. 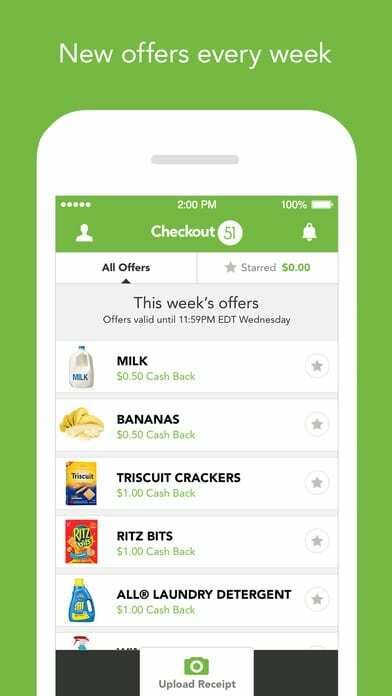 The app ensures the return of the money spent on food and non-food items. To get the money, you need to send a copy of the check and after treatment with the moderator on your virtual account will be credited a percentage. Withdraw your hard earned money only on PayPal or Venmo. 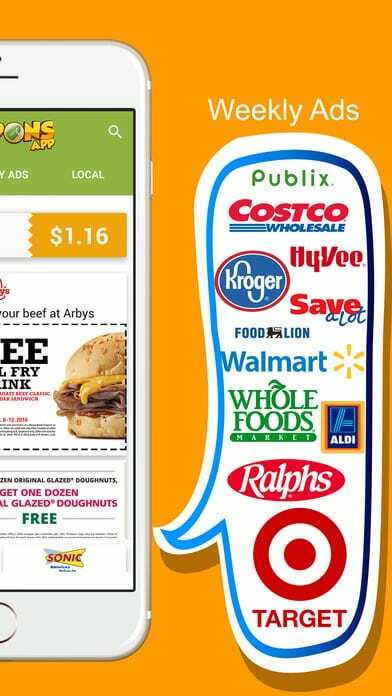 The application displayed the best deals from retailers: Walmart, Target, Safeway, Publix, Best Buy, Kroger, Sephora, Express, Costco, Aero, Sports Authority. The partners are the following stores: Amazon.com, Starbucks, ITunes. Regardless of the prevalence of trading network names, as well as geolocation, the discounts are available in brands such as: Coca-Cola, Nestle, Heineken, Jack Daniels. Bonuses for purchases. 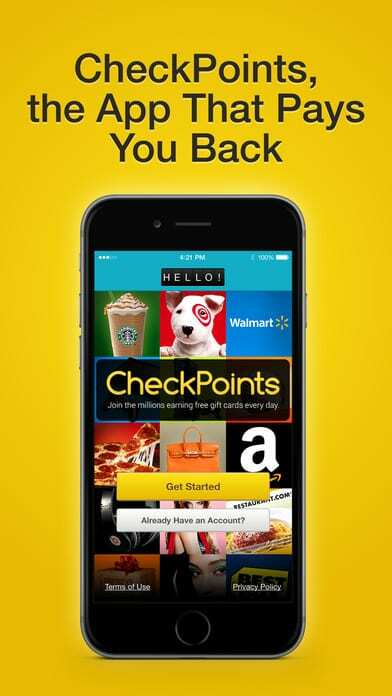 Points can then be redeemed for discounts at Walmart and Amazon.com or get valuable prizes from the application itself, such as a game console or a cool gadget. If you buy Coca-Cola products, Vick’s and Olay, do not forget to scan the barcode. For this item, you will transfer a certain amount of points. 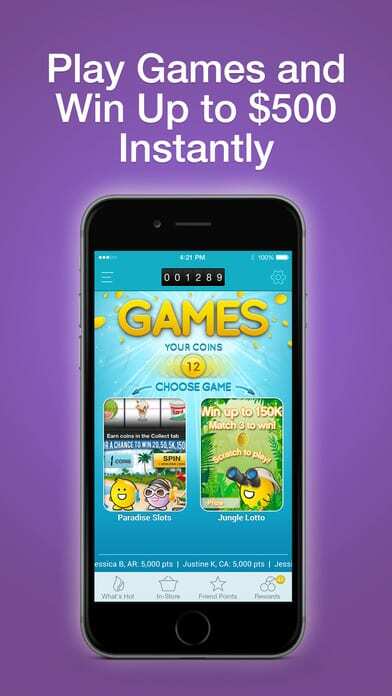 To obtain a greater number of points the app provides an interesting game. So, in the Jungle Lotto you can win up to 150,000 points, which is a very, very solid reward. 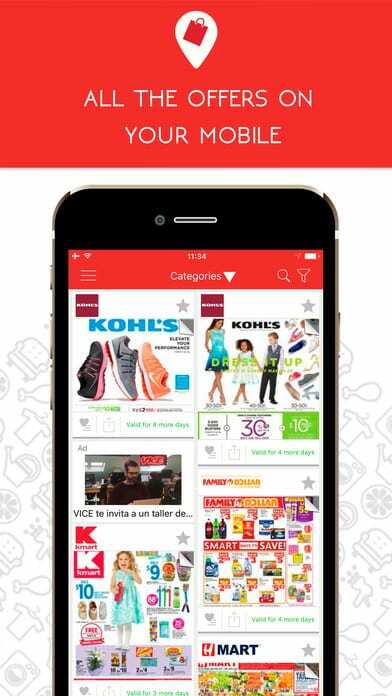 Shopkick is a free application available to iPhone users and Android, encourages visitors of shops-partners with a special common currency «kickbucks», which was later exchanged for discounts, movie tickets or certificates on the content purchase in iTunes. The uniqueness of the service is that the Shopkick does not use GPS or self-check-in users. In each shop-partner there is a special unit, which emits sounds imperceptible to the human ear, but caught by smartphones. Catching a sound, the phone itself will mark its user as a visitor of the store, and he will automatically get the required bonuses, as well as information about promotions or special offers to your phone. In addition, the application allows users to promote, for example, for scanning barcodes of various goods. 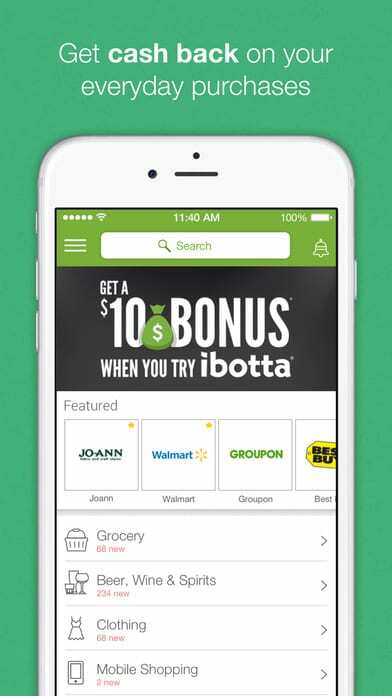 According to the principle, the application is very similar to Ibotta. When the sum of the virtual account reaches the level of $ 20, money becomes available for withdrawal. To work with this app, you should install an application and go through a quick registration. By purchasing products, you should take pictures of receipts and upload them to your personal cabinet. After checking, the account is credited with a percentage of the money spent. 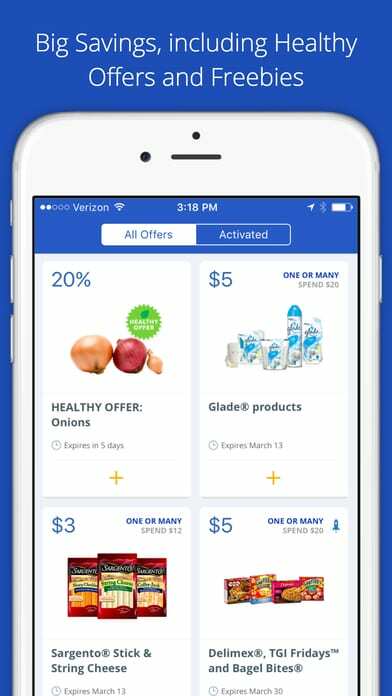 Also, on Thursday the application updates the list of discounts and special offers from the major grocery chains. 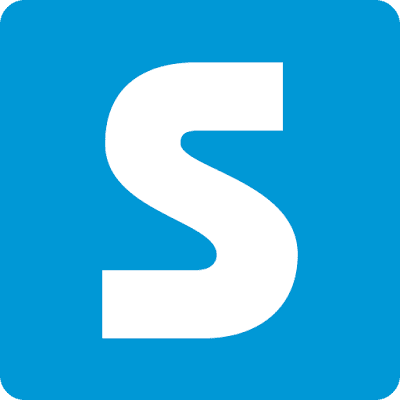 ShopSavvy Barcode Scanner – this is one of those programs that are simply designed to make your life easier and save you a little (and in some places quite a lot of) money! 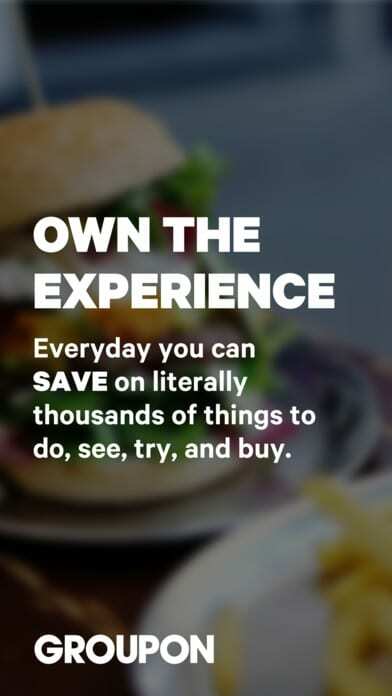 The app will help you save money on all kinds of goods that you get in everyday life (except for food in cafes, restaurants and, of course, providing any kinds of services, whether it’s massage, diving or something else). For example, buying a DVD-disk with the full edition of “The Lord of the Rings” you will be able to scan it (located on the back side) bar code and be sure that you buy it at the lowest price, because in addition to the local shops this program also offers a selection of several hundreds of online stores that sell this product at a price 20-30% cheaper, and then in half! In addition, you will be able to easily check the bar codes and the price of goods in local stores sitting at home and finding their images on the back side of the product, which is very convenient and will save you a lot of time. General design of the application recently has been updated. It is made in a pleasant light green tone that does not distract the user from his search for particular goods. The navigation is done with light taps as the verification of barcodes, however. You can always add your favorite stores to your favorites list to which you will apply every time you need something from the goods of their category. The program is one of the most popular applications, which has rich functionality and the ability to select the destination of the acquisition of a particular type of goods with a simple and at the same time convenient navigation. 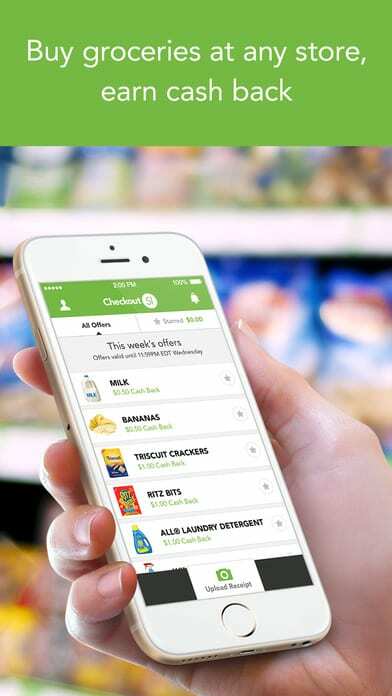 This application has many features: using it you can create your own shopping list by scanning bar codes, store information about frequently purchased goods, create shopping list for multiple stores, print electronic coupons, etc. In order to save you time and money, the application offers the function of sending coupons via email and further printing of them. 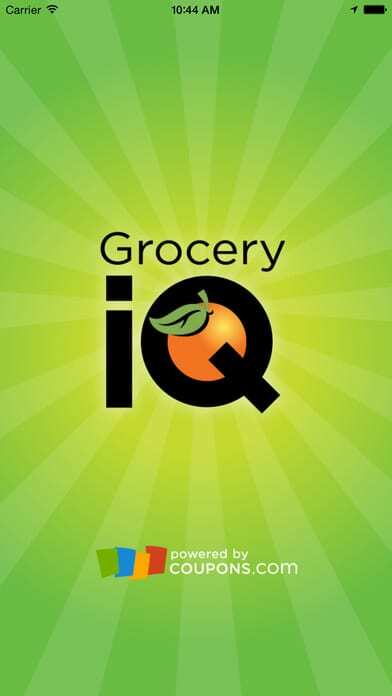 Along with the application Grocery IQ, going to the grocery store will become even easier and faster! This application is useful for those who do not want to look for a long time and wants immediately to get acquainted with the most popular offers. Registration gives you the opportunity to discuss the proposals, to subscribe to topics, to receive exclusive offers, to participate in a variety of sweepstakes prizes, to enter your wish list and favorites. You can sort proposals by user rating or pacing. 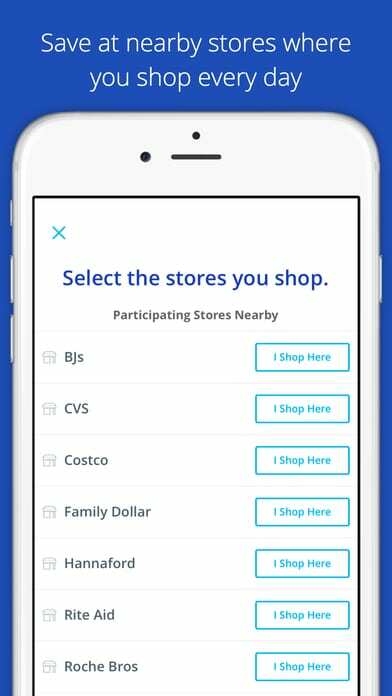 You can navigate the app using the search (retailers, products or brands), alphabetical index of the stores, sections, details or products at popular shopping sites. 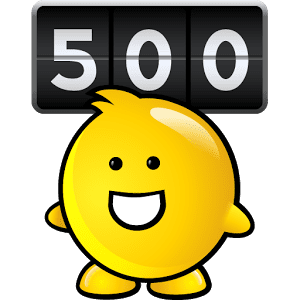 Each coupon has a description of: shop, destination, number of uses, the percentage of successful use, the date of last use, the number of comments in the appropriate topic for discussion and, of course, a coupon code itself. 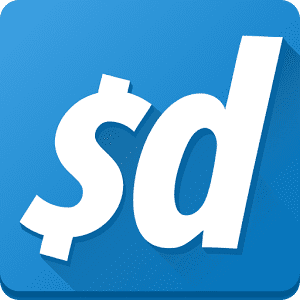 Another reason to monitor closely for this app – frequent exclusive offers and discounts are only for the users of the service Slickdeals. The application SickDeals – is a boon for buyers looking for only the most attractive offers. Now, you will not be able to forget your coupons at home! This application – is a huge coupon database from all the applications and stores. 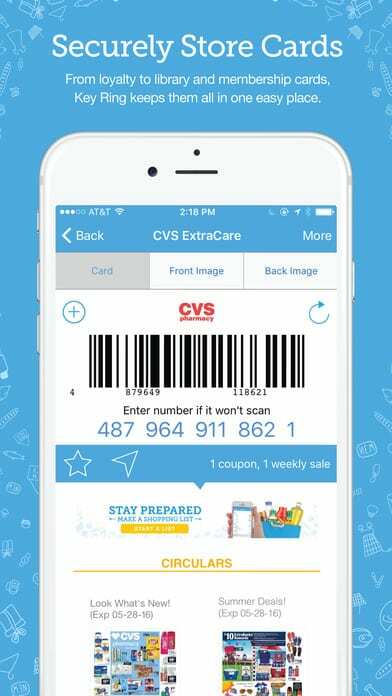 All you need to do – is to take a picture of coupons on your phone, and the app will convert the captured image to the mobile version of the coupon, including its barcode. That’s all. Now, you can give your phone for the discount retailer. 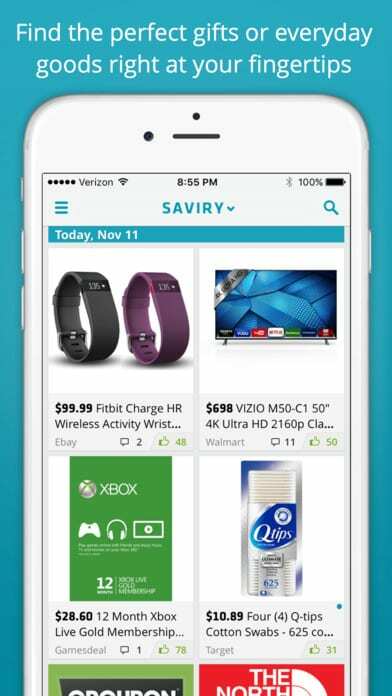 Also, you can see what coupons your friends recently purchased. To do this, you need to connect to your friends through your address book, Facebook, or Twitter. Another handy feature of the app is a reminder. About the entrance to the store, the phone will notify you of the availability of coupons in the store or expire soon validity of the coupon. 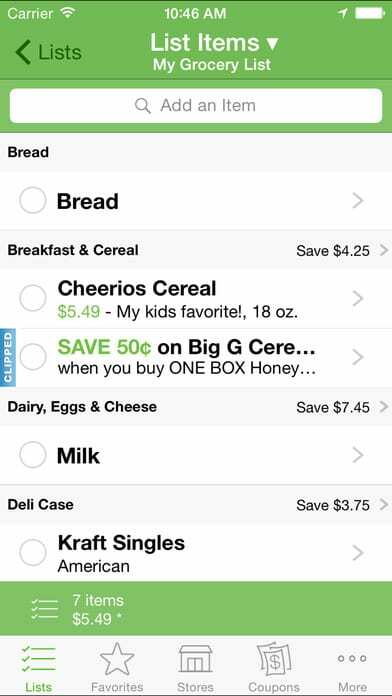 With this application you can find the cheapest goods, get coupons and compare prices. 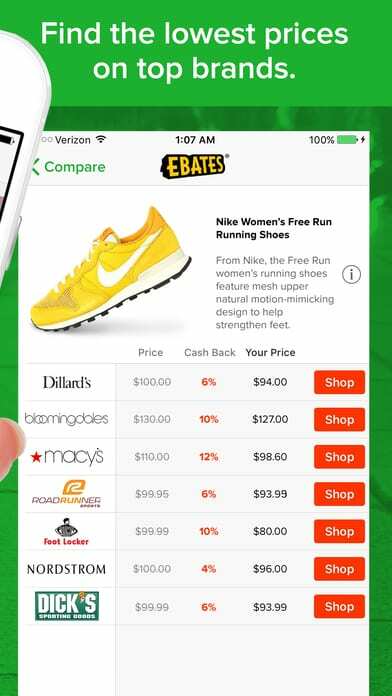 Ebates pays you for online shopping! This is a first-class application which pays you up to 30% cash back for each of your purchase. You can become a user of the site quickly and completely for free! The app cooperates with more than 550 online shops delivering goods to many countries all over the world, including well-known brands such as Victoria’s Secret, AliExpress, Old Navy, Carter’s, Dino Direct and Groupon. With Ebates, you will not only get cash back but thousands of great online coupons, free shipping and special offers from our stores. Each store on Ebates has its own page with basic information about the percentage of cash back and conditions; about what kind of currency the shop takes; whether direct delivery or through an intermediary; how the service Ebates works. To get to this page, simply click on the name of the liked store. Separately, pay attention to the information on the specific conditions of purchase. 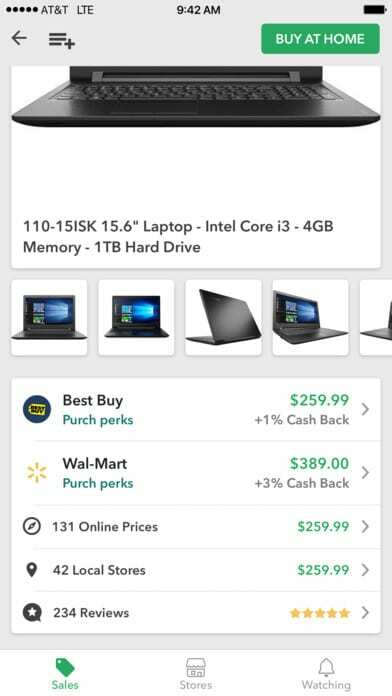 They pointed out for what cash back is given and for what is not given. 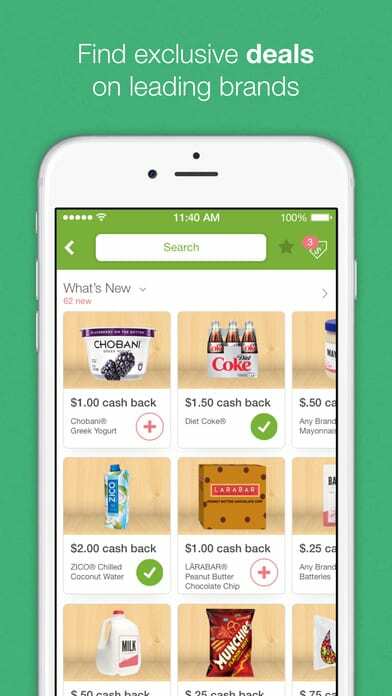 The app gives you the opportunity to get cash back from your purchases. Get discounts on your favorite and frequently bought products when you make a purchase at your local store. You do not need to cut or print. The app is easy to use. Start saving now with the application SavingStar! There is no need to cut out coupons. Just look for the best deal in the program and click on it. Your savings will be even greater than with conventional coupons. Save more on healthy foods: fruits, vegetables, etc. Transfer money to your bank card, via PayPal, or get gift cards. Every day, only the best offers from all the major brands such as Walmart, Target, Safeway, Albertsons, Kroger, Stop & Shop, etc. This is a very useful resource for those who make purchases in different online stores. Here you can find a lot of discount coupons, free shipping, etc. Using the site is quite simple: type in the window the word or the name of the online store and RetailMeNot will show a list of available coupons. Current coupons are marked in green, red are outdated. There is information about the date of the addition of the coupon. You can also subscribe to notifications (by mail) about new coupons you are interested in online store. Firefox users can connect a plug-in that when visiting the site will notify you about the presence of the active coupons in the Retailmenot base. 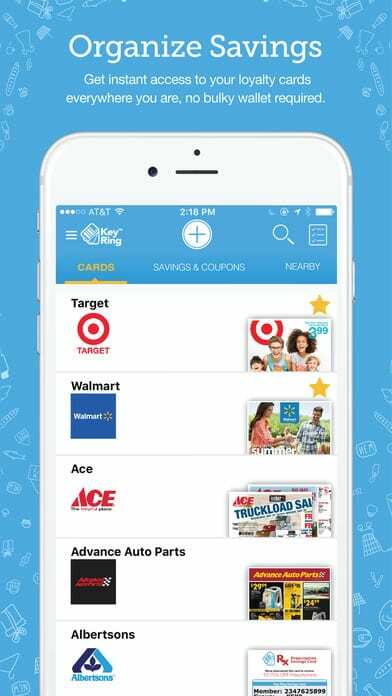 The Key Ring app allows you to store membership cards, trust cards and promotional coupons in a convenient digital format. 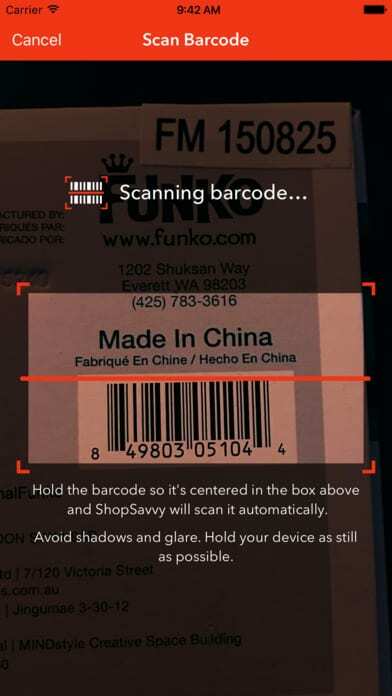 The function of a barcode scanner allows you to take photos of your cards and save the bar codes on the phone, take photos and even download coupons and receive new offers on the network. 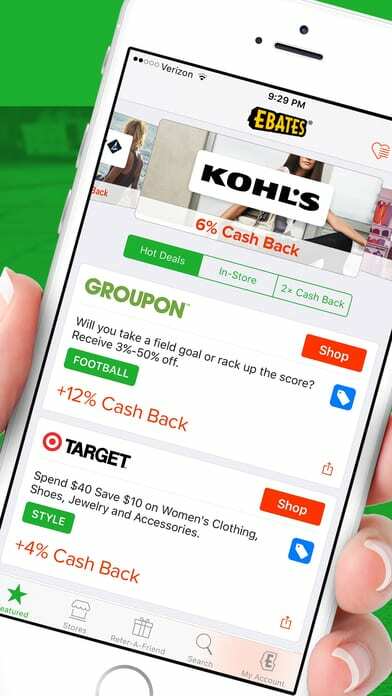 Support for multiple loyalty programs and coupons, notifications about local deals. And cloud backup to restore the saved cards and coupons only adds attractiveness to the application. 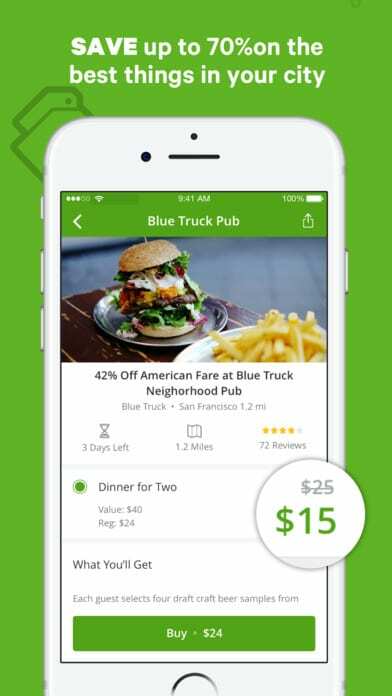 This app is perfect for hunters for the best deals. Most active shopaholics can save quite considerable sums on absolutely any purchases. Of course, on the App Store and Google Play there are many more similar applications. And we are very happy to discuss all the ones that you use in the comments.